Kannada to English translation - English to Kannada translation. Translation is the necessity for today’s world and we are providing the Kannada translation in its best possible way. We employ only the very best Kannada translators the world has to offer. They are meticulously screened during our rigorous selection process so that only specialists having the best qualification, industry experience and subject expertise handle your translations. We only work with dependable and experienced translators who consistently display superior performance and quality results. We ensure that the Kannada translators assigned to your project have the appropriate expertise required to provide you with a high quality, culturally sensitive translation in any field that you desire. Kannada Translation Fields: Document Translation ( IT Manual, Software Manual, Multilingual User Manual, Technical Script and Manual, Training Material, Medical Documents, Engineering Documents, Marketing & Advertising, Legal Documents, Literatures, Official Papers, Tourism, Sports), Website Translation, Software Localization, Multilingual Web Publications, Web Content management and translation, Print Publications. Kannada is one of the major Dravidian languages of India, spoken predominantly in the state of Karnataka. Kannada, whose native speakers are called Kannadigas (Kannadigaru), number roughly 35 million, making it the 27th most spoken language in the world. It is one of the official languages of India and the official and administrative language of the state of Karnataka. Kannada forms the Tamil-Kannada subgroup of the Southern Dravidian languages, separated from Tulu. It is most closely related to the Badaga language. The Kannada language is written using the Kannada script. The other native languages of Karnataka, Tulu, Kodava Takk and Konkani are also written using the Kannada script. Kannada is attested epigraphically from the mid-1st millennium CE, and literary Old Kannada flourished in the 9th to 10th century Rashtrakuta Dynasty. Contemporary Kannada literature is the most successful in India, with India's highest literary honor, the Jnanpith awards, having been conferred seven times upon Kannada writers, which is the highest for any language in India. At present, a committee of scholars has approved a classical language tag for Kannada based on its antiquity. A final notification from the Government of India is awaited. The Kannada works produced by the end of the nineteenth century and later are classified as Hosagannada or Modern Kannada. However, till the beginning of the twentieth century there were Kannada literary works that could still be classified under the heading of Middle Kannada. 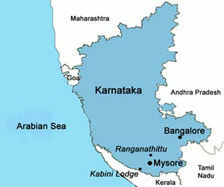 Kannada is mainly spoken in Karnataka in India, and to a good extent in the neighbouring states of Andhra Pradesh, Maharashtra, Tamil Nadu, Kerala and Goa, as well as in sizeable communities in the USA, Saudi Arabia, UAE,Middle Eastern countries, Canada, Malaysia, Australia, the UK, and Singapore. Kannada is one of the twenty-two official languages of India and is the sole administrative language of the State of Karnataka. Several transliteration schemes/tools are used to type Kannada characters using a standard keyboard. These include Baraha (based on ITRANS) and Quillpad (predictive transliterator). Nudi, the government of Karnataka's standard for Kannada Input, is a phonetic layout loosely based on transliteration. Kannada Translation services - Low Cost Kannada Translation- Kannada Translators - Cost effective Kannada Network - Kolkata Kannada Translation - Website Localization India - Kolkata Translators - Kannada Content Writing India - Indian languages - Language Professionals Kolkata.